Legally binding contracts are important to any business; but if there’s a single flaw, you may find yourself without the agreement you thought you had. Up until a decade or two ago, a legal team would review paper contracts to make sure nothing was wrong or missing, but today, many businesses use electronic contracts to solidify deals. Recognized that electronic contracts, records and signatures were valid and equal to paper contracts in legality. In response to the demand for electronic contracts, many other countries, as well as individual states have enacted laws of their own. While you may want to enlist some well-qualified people to write and review each of your contracts, the act of agreeing to them and signing them has never been easier, thanks to E-SIGN. 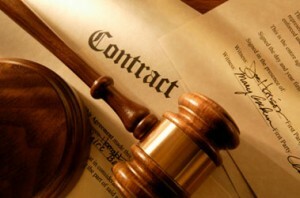 Here are a few apps that can help your company finalize contracts, no matter where you are. The best news of all is that these apps are free for you to download. One of the most important things you can have in a contract dispute is evidence of an agreement, and this call recording app from Apalon Apps can help you keep track of all of the things you and your clients talk about. You can also search through your saved conversations easily. You can search by date and time, or by the person’s contact information. The recordings are protected by a PIN, so only you and those you trust can access the recordings. This is a simple contract app allows you to create different types of contracts directly from templates. The app is intuitive and gives you the freedom to enter information into the standard templates or adjust them to suit your needs better. The ability to sign all your contracts electronically makes finalization simple and fast. You can send a contract to as many people as you want. You can also save your contracts in the form of a .pdf file. You can also review previous contracts with their easy search feature. If you would still rather create contracts the old-fashioned way, you can still have people sign them electronically using this signing app. All you have to do is upload your contracts and documents to the app. This allows you to access them from any mobile device. After that, you just select the document you need to send, and the people who need to sign it, and then forward it to them. The app will create an electronic signing field in the document that the recipient can complete in seconds and return to you. All your documents, contacts and signatures are highly secure. This app supports many different programs, such as Microsoft Word and Excel. Just because you’re away or on the road, that doesn’t mean you can’t finish your important contracts. Thanks to these handy apps, it’s easy to send them off to be signed and returned. This means no interruptions in your work flow or productivity. Give one of these apps a try today to simplify your life and streamline your daily operations. Gabriel Brooks travels abroad on business matters frequently. He likes to write about his experiences, sharing some tricks and tips with his growing online audience.